RIOU -Au milieu des bois. RIOU - Au milieu des bois. 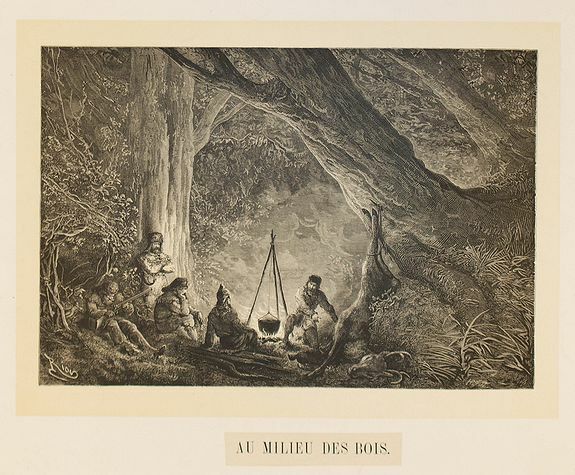 Title : Au milieu des bois.. Size : 10.6 x 12.4 inches. / 27.0 x 31.5 cm. Description :From a serie of engraving on the theme of hunting. Engraved by Jules Huyot.. Condition : Nice and dark printing in mint condition. Title cut and glued on the lower margin.